Good news! 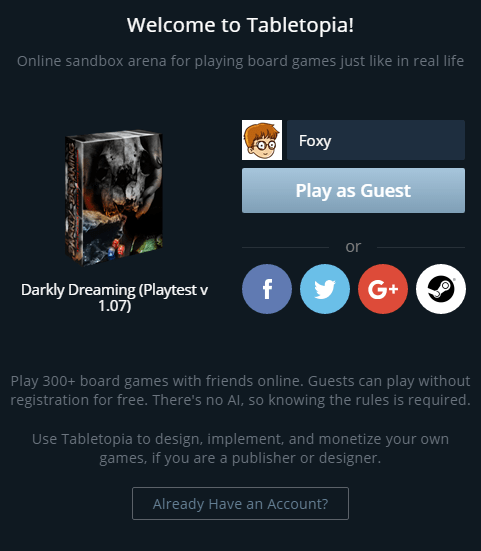 We just added Darkly Dreaming to Tabletopia (an online virtual tabletop program). 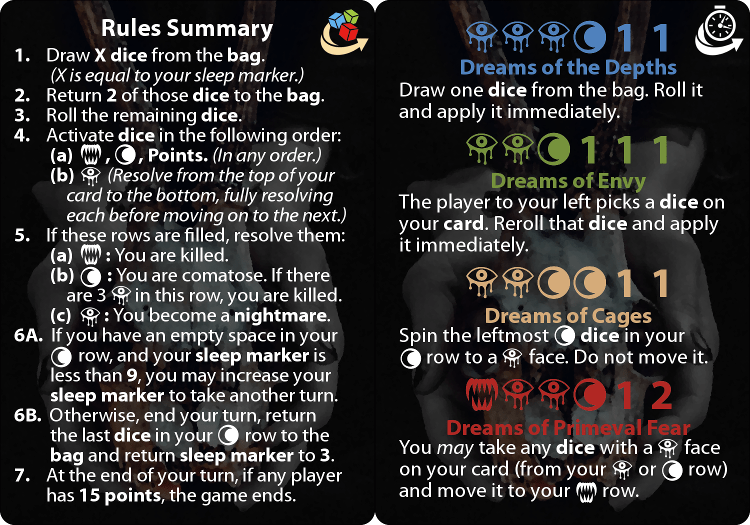 The playtest rules are supplied in game (on a PDF and reference card), but you can also print out the following reference card, or keep it on an alternate tab (click for the high resolution version). Wait, doesn’t this mean people won’t buy it? We’re pretty confident that, as cool as it is to play online, once you play it with friends there, you’ll want to take it everywhere with you. It’s short enough that you can play while you wait in line at conventions, and it’s easy enough to carry around with you. We are looking into materials for our dice now and we can’t wait to see the first prototypes. It is so exciting to be able to bring you our game in such a straightforward way. 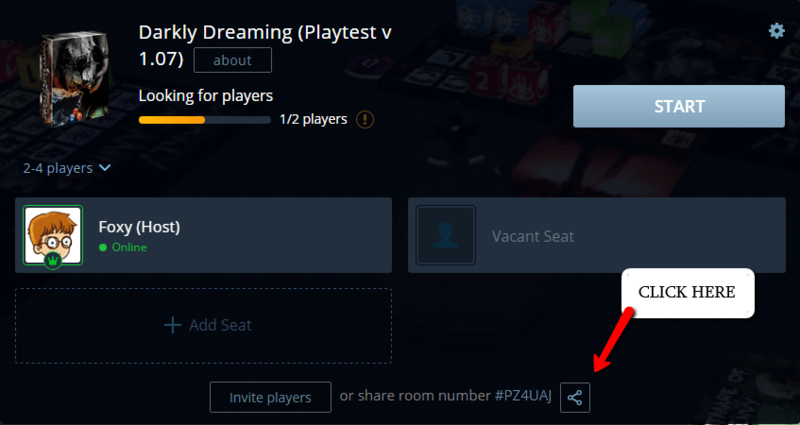 Playing on Tabletopia is almost as easy as playing the physical version, and will cost you a lot less than the print-and-play to put together. If you have any questions about the game, send us a message on Messenger. We’d be happy to answer!